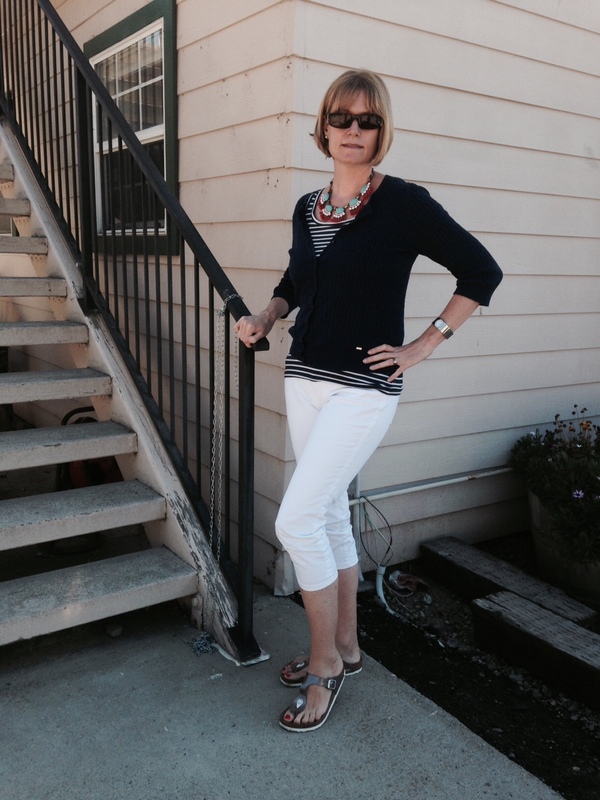 White jeans are really versatile, and I love how they can freshen up a look all year long. 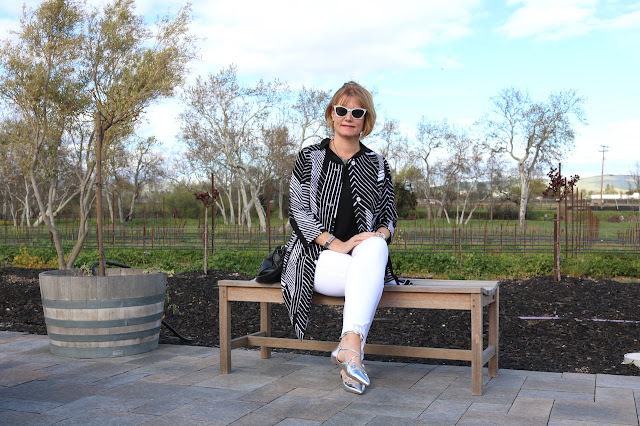 Thankfully, we now are “allowed” to wear white whenever we want, and I love wearing a pair of white jeans in spring, summer, fall and winter. Questions: Do you like white jeans? If so, what’s your favorite way to wear them? One of my favorites!! I think white jeans can do no wrong. For some reason they perk up the dreariest of outfits and make all other colors pop. I'm so glad they are worn year round now!! Yes! They really do perk up any outfit, Jodie! Great outfits! I'll need to get another pair of white jeans. I like the flares above. I love the flares, too! The white jeans with the raspberry top is my favorite. Raspberry and white is one of my favorite combos, too! I love white jeans, but don't think to style them for winter. You have given me some good ideas, Andrea! I haven't worn a pair of white jeans in a looooong time. Not sure if I will, the colour intimidates me somewhat GRIN you look fab though, Andrea. Thanks, Sheela! And you can totally rock white jeans!!! I love white jeans,and white shorts! Love the blue and pink look. Buying white pairs you like in pairs is a great idea!!! White jeans, I love it all. I like the outfit with the green jacket, so pretty. You always look great in white jeans! I like them with fuchsia pink and they look hoof with metallic boots or brogues. It's hard to pick a favourite outfit here as you wear your white jeans so well! :) I'm much too clumsy to wear a lot of white. I'd love a pair of white jeans, but with myself and two toddlers I know I'd regret wearing them fairly quickly, haha! So many great looks here! I love white jeans too and own several pairs. They really do go with everything! I love wearing white jeans year round! Love all your inspiration! You look absolutely FAB in every single outfit, Andrea! I love white jeans. I have two pairs - a skinny pair (high waisted) and a pair of flares, neither of which I wear often enough though. I really ought to change that! I love how versatile white pants are! I guess that is why I have so many pairs! Lol! I really love the brights with them. Yes! Brights and white pants are great! Great suggestions how to wear white jeans. Thanks for linking up to Top of the World Style. I agree, Andrea. White jeans are a great staple for any time of the year. 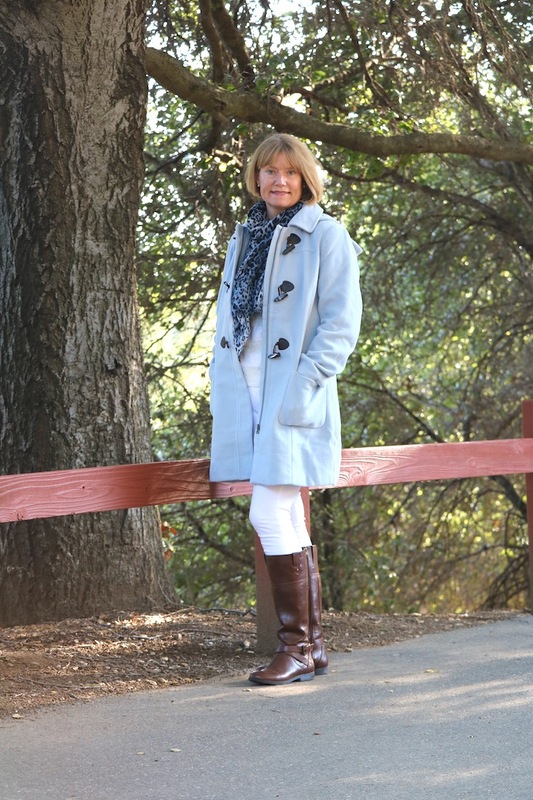 Thank you for sharing your fashion inspirations and for joining my Fine-Whatever link up. 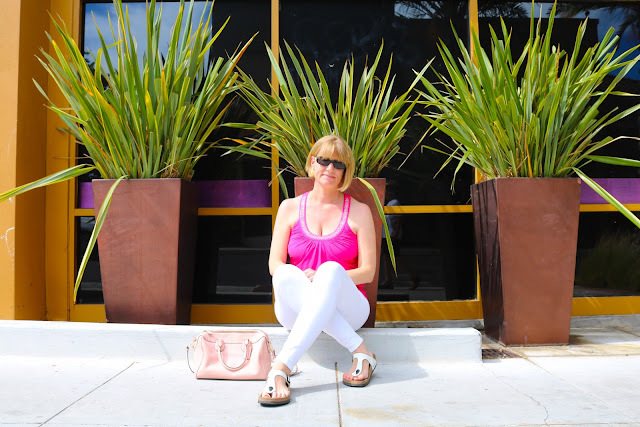 White jeans are a staple for me year round but I live in Florida and we wear flip flops year round too, lol! I am glad to see the rest of the world starting to embrace white after Labor Day too! Thanks for linking up to Fabulous Friday! Hi Andrea! I need to wear my white jeans more. Love the colorful outfits as the color really pops with white. You look great! I wear my white jeans year round too! Love all of this inspiration! My favorite is the green tee and neck scarf! Thanks, Jill! I have to wear more neck scarves again! Obviously you've proved everyone needs at least 3 pair of white jeans!! I would have a hard time choosing a favorite look. Thanks for linking with Ageless Style Andrea!